OK, I have been talking about it for a few weeks, and the Porch Sale is this Saturday, Oct 23rd. Lots of ladies have been working hard to make some neat things for you to buy, including Jennifer and Sharon (check out their blogs for some sneak peeks). The porch sale is here (thanks to Jennifer for the idea to use a Google Maps link) from 10am – 3pm. I am still working on a few more last minute items. I didn’t get nearly as much done as I wanted, but I had a lot of fun preparing for it. I will say it will be good to get this off my plate so I can focus on other things. 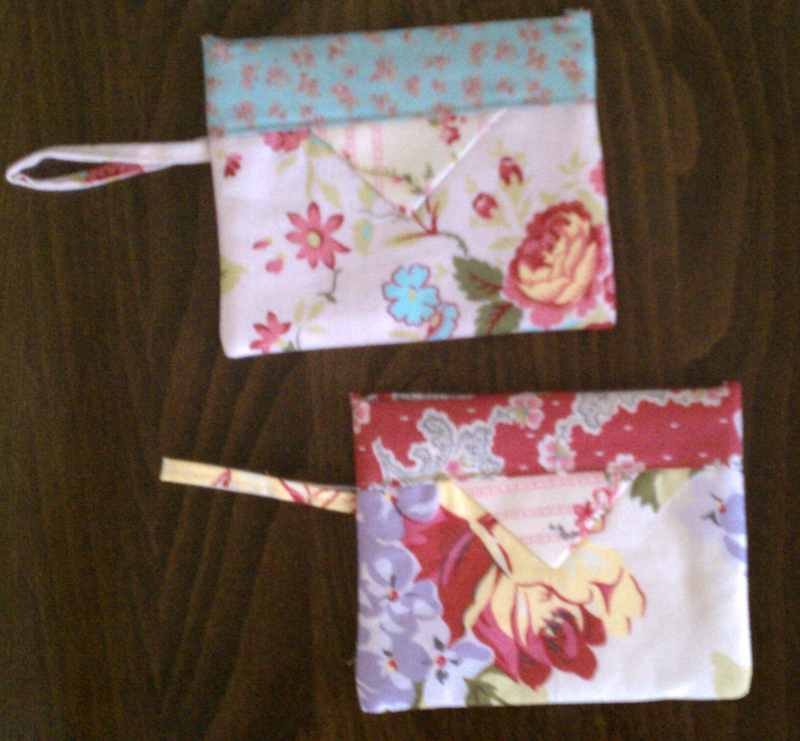 One more sneak peek – these are cute little Snap-it Bags (sorry the picture is a out of focus – I was in a hurry). They are about 3″ x 5″ and are the perfect size for carrying extra cash, sewing notions, coupons, etc. They “snap” open when you open them with the prairie points. You use metal measuring tape to create the “snap” frame. It’s a pretty clever idea. You just cut off a length of tape and creating a casing to slide it in. The pattern I used is called “Snap Happy” and they are really fun to make. You can use all different combinations of fabric. These would make perfect little gifts for anyone! Good luck on your sale!!!!!!!!!!!!!!!!!!!!!!!!!!! The little snap bags are really cute. Thanks Mom! I’ll let you know how it goes :). I love your snap-it bags Heather, Alice saw your Owl today and is begging for one!!!!!! !